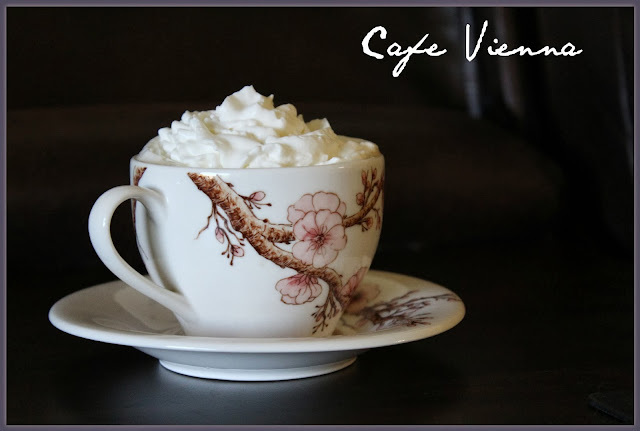 Today I'm going to share with you one of my most favorite coffee recipes - cafe vienna. It tastes oh so good! I first had this when I was in Korea and I had no idea that something this delicious existed in the coffee world. The recipes calls for espresso but you can used brewed coffee too. 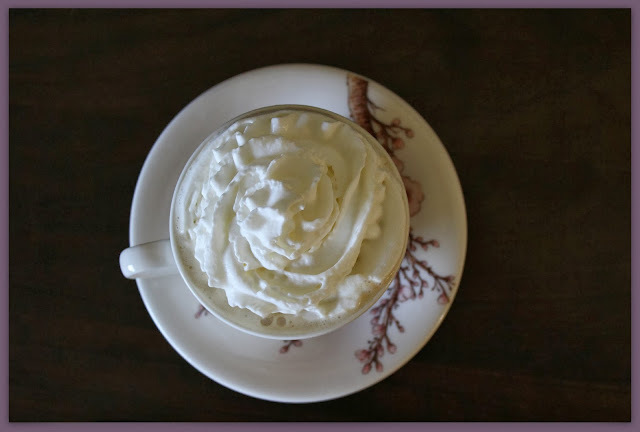 I use an Italian coffee maker at home and love the espresso it makes. Heat the cream and milk together on low. While the milk is heating add your vanilla, sugar, and espresso to your coffee cup. Slowly stir in the milk until everything is mixed together nice and smoothly. Top it off with as much or as little whipped cream as you'd like. Much tastes better, I assure you. What's your favorite type of coffee drink? Do you ever have a diet splurge and eat whipped cream? My favorite thing in the entire world is espresso with cream! I take it over coffee hands down any day!